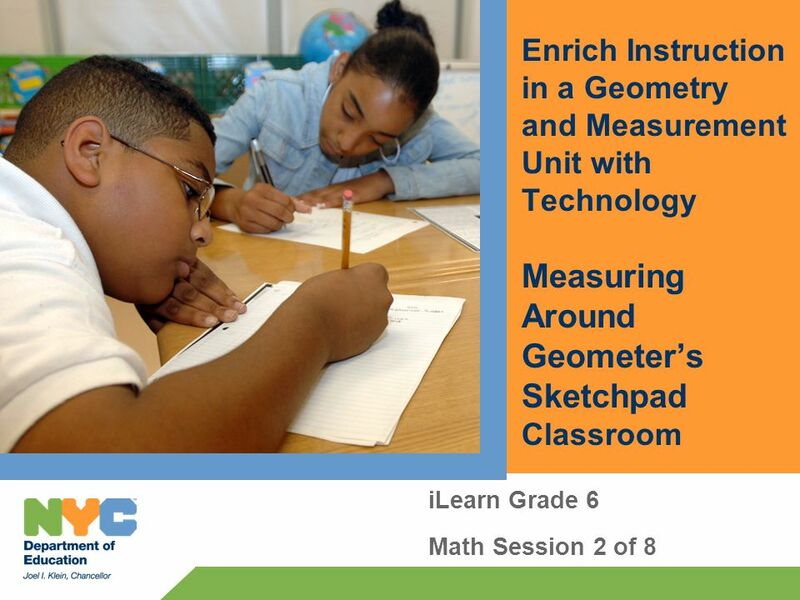 Enrich Instruction in a Geometry and Measurement Unit with Technology Measuring Around Geometers Sketchpad Classroom iLearn Grade 6 Math Session 2 of 8. 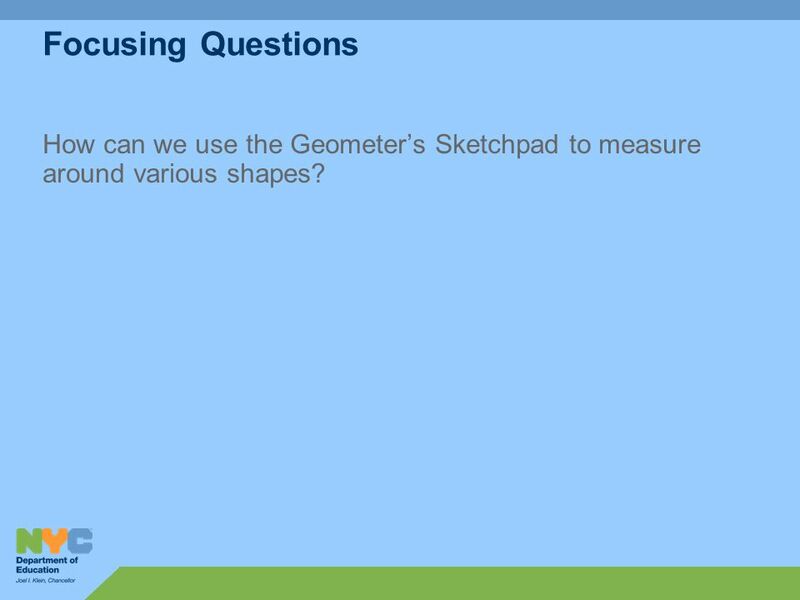 2 Focusing Questions How can we use the Geometers Sketchpad to measure around various shapes? 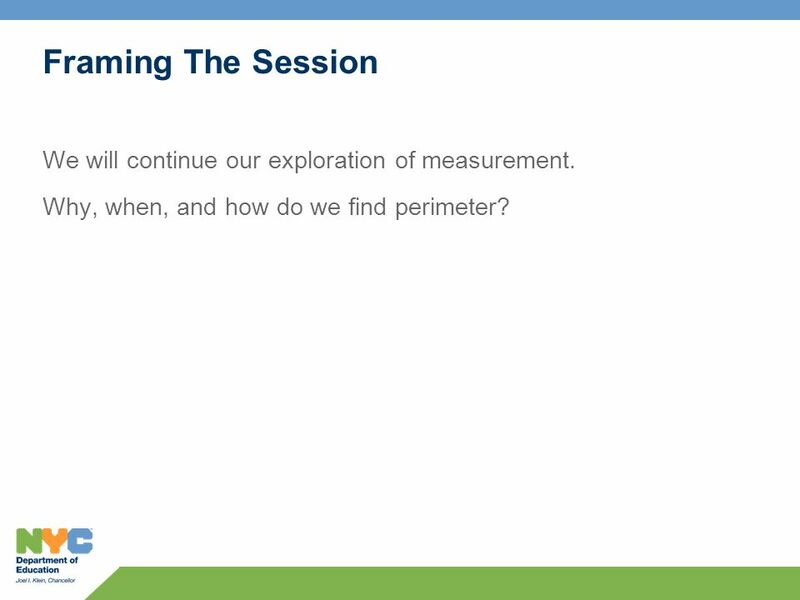 4 Framing The Session We will continue our exploration of measurement. Why, when, and how do we find perimeter? 6 Essential Questions What do we know? What do we need to know? 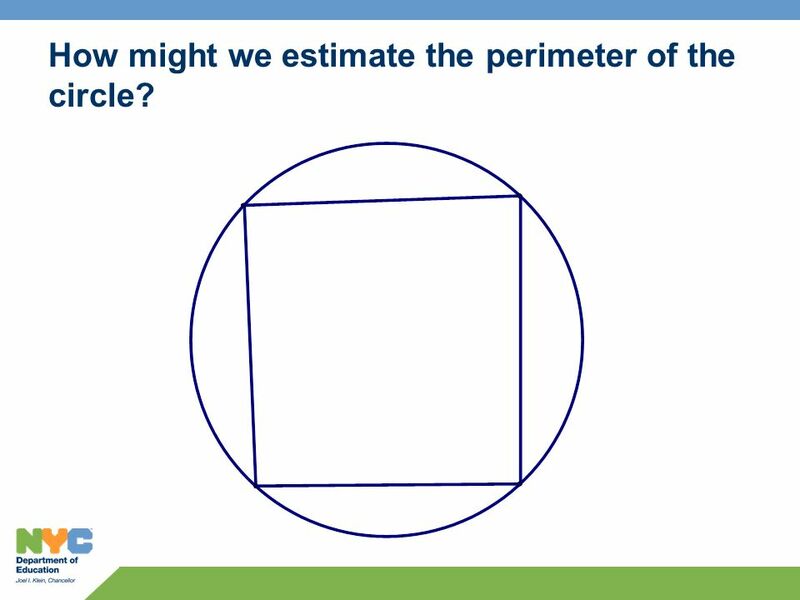 What is your estimate of the perimeter? 8 How do we find the perimeter? 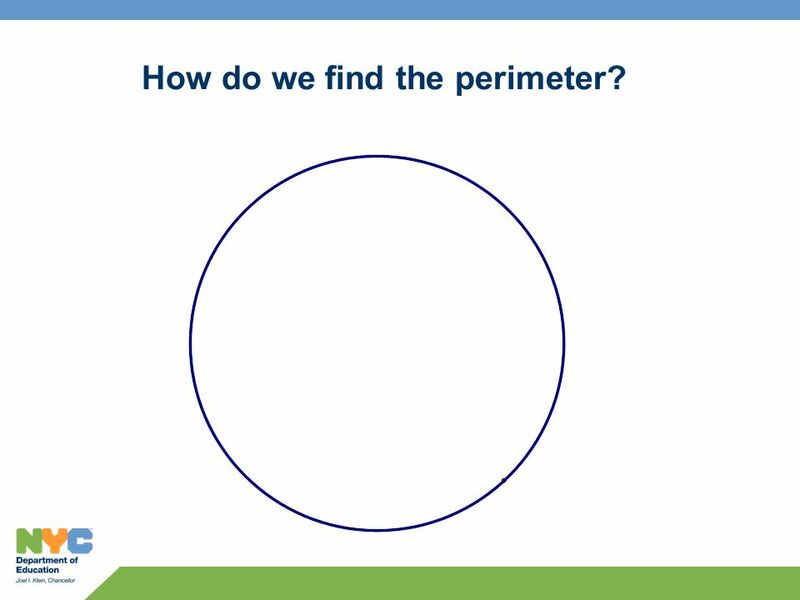 9 How might we estimate the perimeter of the circle? 10 Inscribed Shapes Inscribe a shape in the circle. 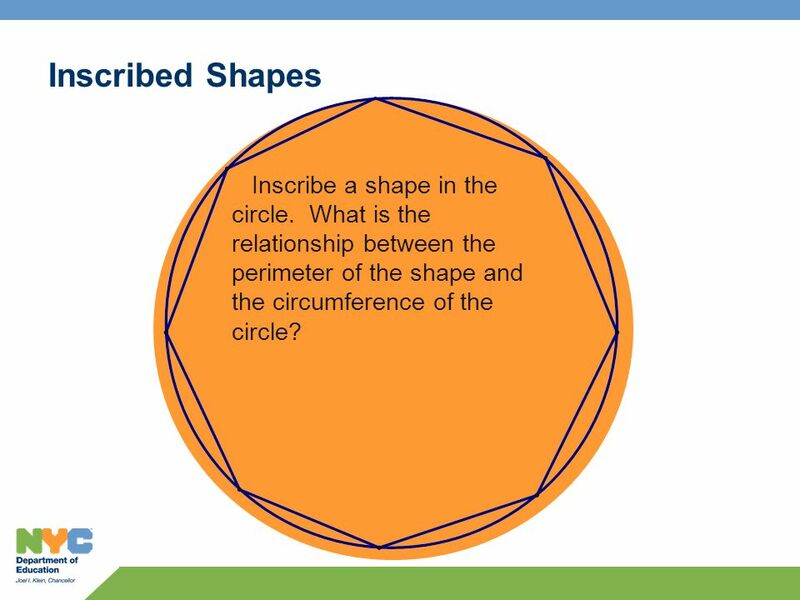 What is the relationship between the perimeter of the shape and the circumference of the circle? 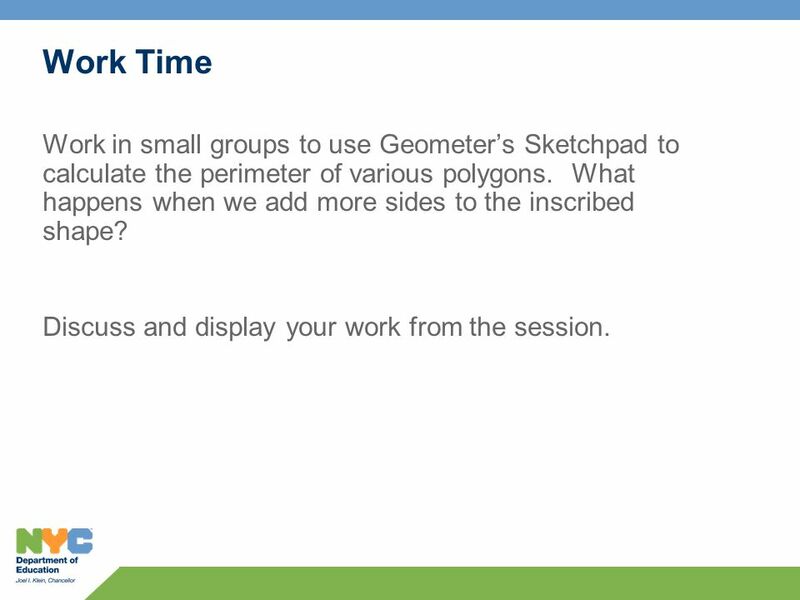 13 Work Time Work in small groups to use Geometers Sketchpad to calculate the perimeter of various polygons. What happens when we add more sides to the inscribed shape? Discuss and display your work from the session. 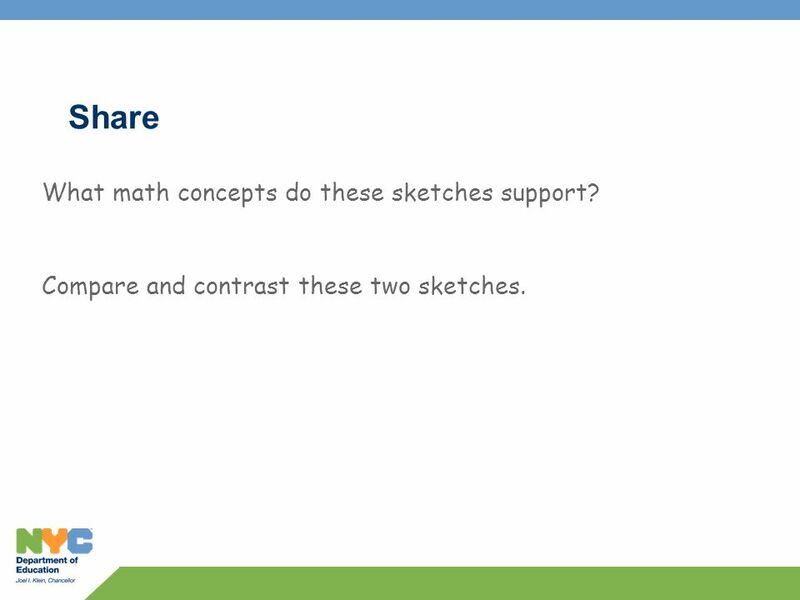 Download ppt "Enrich Instruction in a Geometry and Measurement Unit with Technology Measuring Around Geometers Sketchpad Classroom iLearn Grade 6 Math Session 2 of 8." 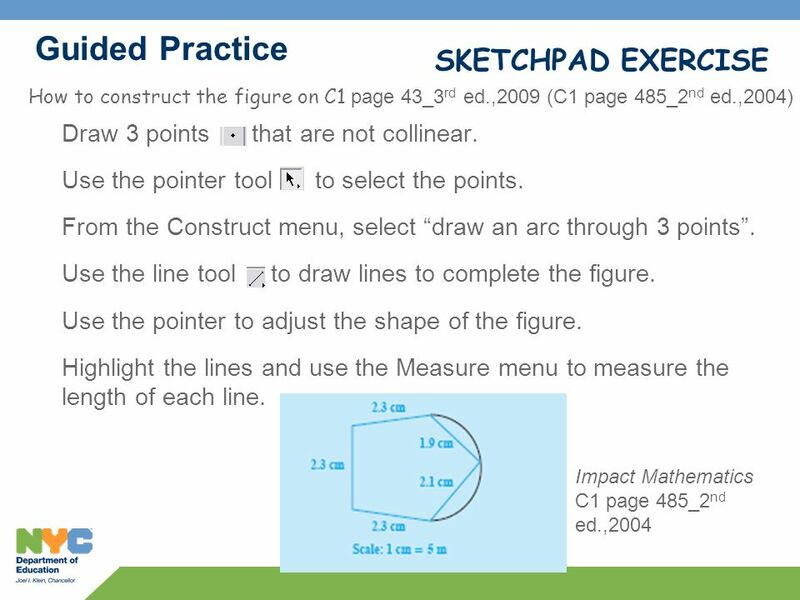 Enrich Instruction in a Geometry and Measurement Unit with Technology Calculating Areas with Geometers Sketchpad iLearn Grade 6 Math Session 6.7. Enrich Instruction in a Geometry and Measurement Unit with Technology Teaching Area and Squares iLearn Grade 6 Math Session 5 of 8. Building Geometric Understanding Hands-on Exploration in Geometric Measurement Grades 3-5. Pitch Perimeters WALT : calculate the perimeter of rectangles. Ken Schmarge Spring, * Teacher of Math at Ramsey High School * Geometry, Calculus, Computer Science * Infuse technology to coursework to enhance. Journal Prompt On a separate piece of paper: – With only two units left of the semester, how do you feel about Geometry? 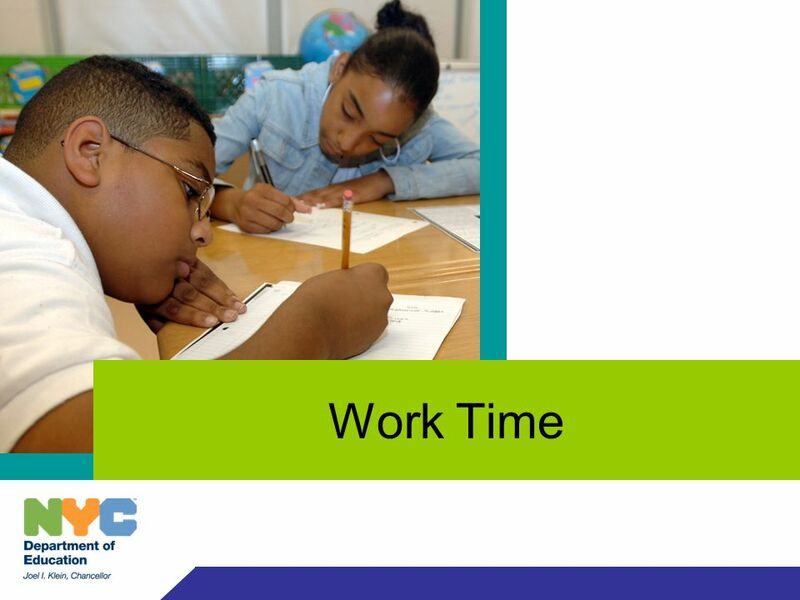 What was your favorite topic? Circumference of a Circle Math 10-3 Ch.3 Measurement. Perimeter Basics Solving Hard Perimeters Perimeter Perimeter St. Andrew’s Secondary. Circumference of a Circle Parts of a circle Calculate d from r Calculate r from d Introducing pi Using C =π d C from d …. 5 circles C given radius 5 questions. Level 3 14-Aug-15Created by Mr. Lafferty Maths Dept. 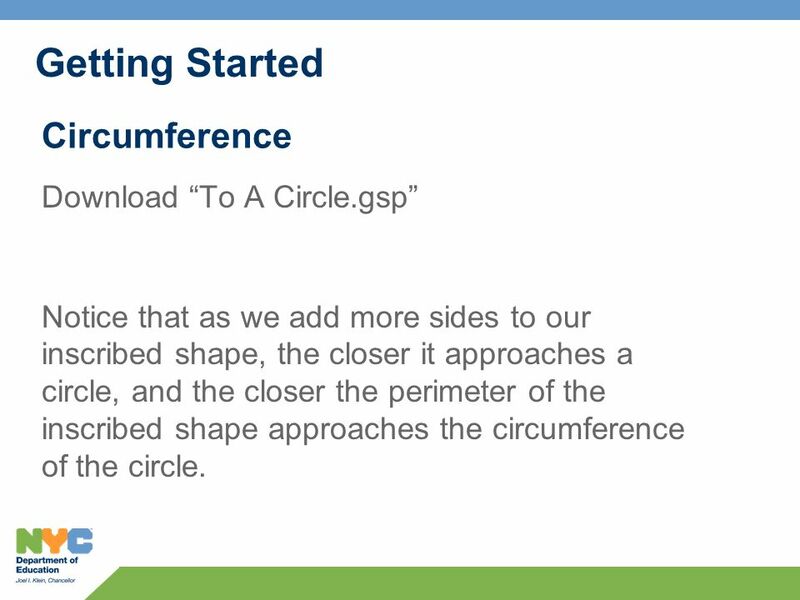 The Circle Circumference of the circle Diameter = Circumference ÷ π Area of. 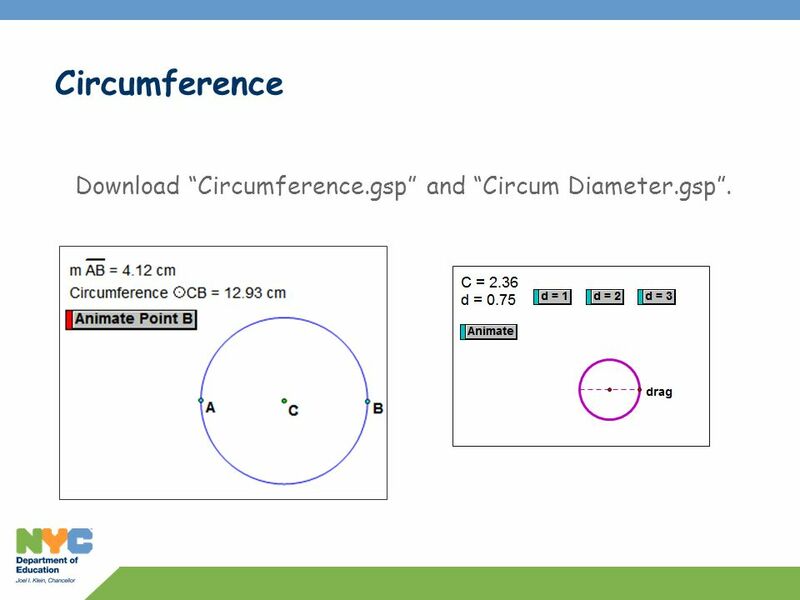   investigate the relationship between the diameter and circumference of a circle. 1)Create a circle with a diameter of 6 cm. 2) Using a ruler, divide the circle into 8 congruent sectors. 3)Cut out the sectors and arrange them to form. Lets make life easier… Who wants to use a piece of paper to create perfect shapes these days. Kids love using technology. GSP The Geometer’s Sketchpad. 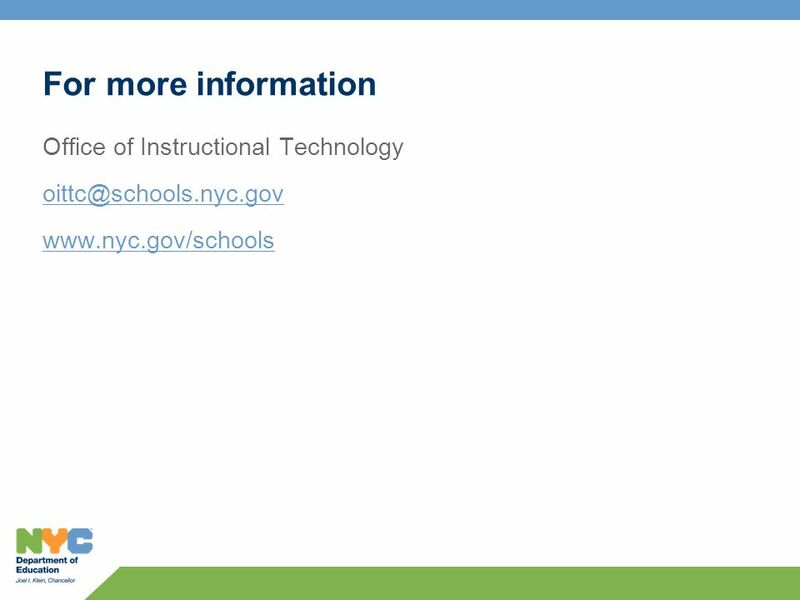 Dynamic geometry software can be used in a variety of ways in exploring and learning about the properties of shapes; studying. 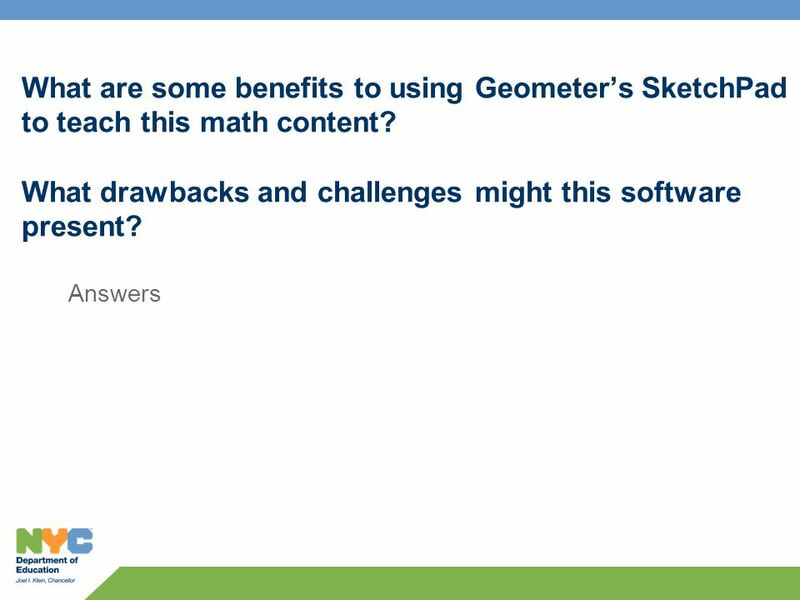 GEOMETER’S by Cora Tenza SKETCHPAD. California Standards addressed: Grade 3 Measurement and Geometry 1.3 Find the perimeter of a polygon with integer. Perimeter, Circumference and Area. Perimeter and Circumference Perimeter : The distance around a geometric figure. Circumference: The distance around.